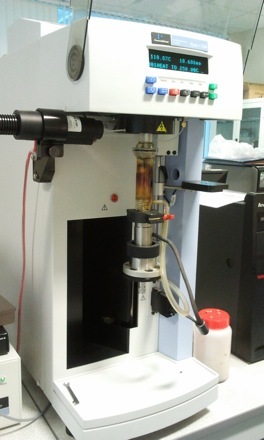 The study of weight loss and gaseous emissions during the heating of a sample. 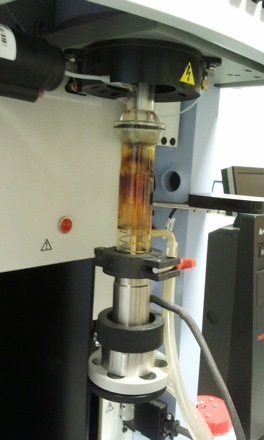 Thermogravimetry. 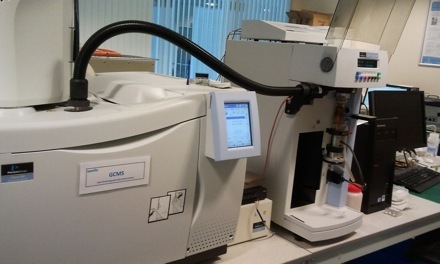 The equipment on the left is a gas chromatography for quantitative measurements of the type and quantity of particular species.